CPI SMP Medical Products will be present at these trade shows and conferences. If you are attending, please plan to visit or contact us. JETSAT is a comprehensive service program for communications klystrons. Map to CPI Canada Inc.
CPI’s Satcom & Medical Products Division (CPI SMP) Medical Products is a global leader in high-frequency medical X-ray generators, integrated system controls, digital imaging solutions, and compact power supplies for physical vapor deposition applications. From its 18,500 square meter (200,000 square foot), state-of-the-art facility in Georgetown, Ontario, Canada, CPI SMP Medical Products exports its world-class products to all major countries around the world. Service, sales and support centers are optimally located to better service the CPI SMP Medical Products global customer base. CPI SMP services all of its products at its facility in Georgetown, Ontario. For medical products, service centers are available in Beijing, China and Seoul, Korea to support customers in APAC regions; Harderwijk, Netherlands, to support customers in EMEA regions and Georgetown, Ontario, Canada to support customers in the Americas and globally. CPI SMP's DC sputtering power supplies ranging from 6 kW to 300 kW provide high-quality plasma drive in semiconductor FAB physical vapor deposition systems. 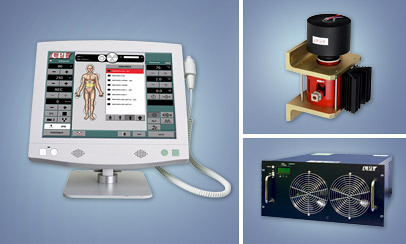 CPI SMP's portfolio of high-frequency X-ray power supplies and generators, suitable for a range of radiographic and fluoroscopic applications in power levels from 32 kW to 100 kW, are the industry’s leading technology for medical X-ray diagnostic applications.